For English info about Mezičas, Click here! Para información sobre Mezičas en castellano, ¡pinchar aquí! Pro českou informaci o Mezičasu kliknětě sem! BE OUR CO-PRODUCER: Get your perks plus a part in the profits of the film. SÉ NUESTRO COPRODUCTOR: Consigue tu recompensa más una parte en los beneficios de la película. STAŇTĚ SE NAŠÍM KOPRODUCENTEM: Získejte různé výhody a možný profit z tohoto filmu. You can make a money transfer to any of the bank accounts below (Czech Republic and Spain) and then write us an email at mezicasfilm@gmail.com so we can list you for your perk! 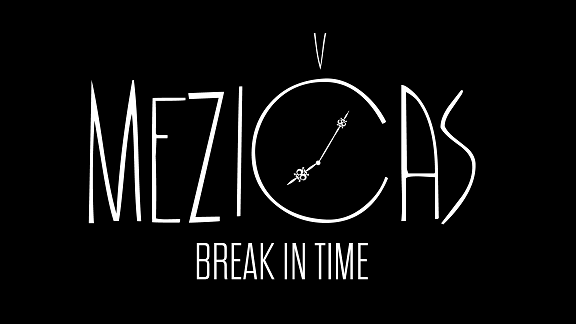 ¡Y envíanos un email a mezicasfilm@gmail.com para que obtengas tu beneficio! POTÉ NÁM PROSÍM NAPIŠTĚ NA mezicasfilm@gmail.com, abychom vám poslali Vaši výhodu! VERY IMPORTANT! For your support you will get the perks below. In addition to it, if the film has profits, you’ll receive the percentage that corresponds to your contribution. ¡MUY IMPORTANTE! Por tu aportación recibirás la recompensa correspondinete (mirar lista en castellano). Además, si la película produce beneficios recibirás el porcentaje correspondiente a tu contribución. VELMI DŮLEŽITÉ! Za podporu dostanete výhody (pod textem kliknětě pro českou verzi). V případě, že projekt bude komerčně úspěšný, počítáme s výplatou podílu na zisku dle výše vaši podpory. $10 (8 EUR - 200 Kč) THANK YOU! Our deepest gratitude and a written thank-you on our Facebook page, our Twitter feed and our future website. You also get a password to enter the production newsletter and read about the progress of the whole project. Plus, a personal e-mail from the director thanking you for your contribution. All of the above, plus your name will appear in the “This Film Was Only Possible Thanks To” section of the film’s closing credits. All of the above, plus you will receive a password to the producers’ exclusive video blog, where you can follow the making of “Mezičas (Break in Time)” day-by-day through the eye of the camera. Every day you’ll be able to see how the preproduction, shooting, and postproduction processes are going through the videos we make for you. All of the above, plus an invitation to the premiere of the film in one of the following cities: Prague, New York, Montreal, London, Bilbao, San Sebastian or Berlin. Also, a DVD of the film signed by the cast and crew when it is released in home video. All of the above, plus a signed copy of the shooting screenplay, with the director’s handwritten notes. And, if you are in Prague during the shooting days of the film, in August 2013, the chance to appear as an extra in the film itself! All of the above, plus an invitation to attend a special lecture by the cast and crew on film directing, producing and the process of making the film. The lectures will take place in the same cities as the premieres: Prague, New York, Montreal, London, Bilbao, San Sebastian and Berlin. If you can’t attend the lectures in person, you will receive a personalized video recording of them to watch at home. All of the above, plus a personal meeting for coffee and chat with the film’s director in any of the cities where the premieres will take place: Prague, New York, Montreal, London, Bilbao, San Sebastian and Berlin. If you can’t make it in person, a virtual coffee via Skype awaits you! All of the above, plus you can, if you are in Prague, spend a full day with the director, visiting all the locations where the film has been shot and touring many other secret places in this magical city! All of the above, plus an Associate Producer screen credit in the film, and in IMDb as well. You will also have the chance to meet the cast and crew of the film at a private dinner at the historical Café Louvre in Prague. If you can’t make it to Prague, the dinner can take place in any of the following cities: New York, Montreal, London, Bilbao, San Sebastian, Berlin. A brand-new feature comedy film from Prague that will make you want to travel in time.